It’s difficult to drive through Germany and not see solar panels on the rooftops of barns, houses and even churches. 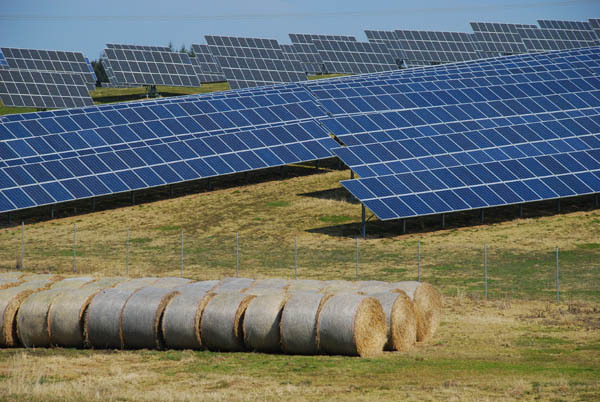 Huge patches of fields have been covered in hectares of panels. There are panels covering nearly every surface of the Munich Airport Terminal 2, which, as a pilot project when it was built in the early years of the 21st century was created to prove that a major set of structures could not only produce from solar alone what those buildings needed, but also provide a surplus back to the grid. In August 2002 the photovoltaic facility (or solar energy facility) installed by BP Solar on the roof of the check-in concourse of the new Terminal 2 was connected to the airport power grid. It is one of the largest solar facilities of its kind and produces an average of approximately 500,000kWh a year, representing the electricity needs of about 200 households.High production of energy is guaranteed even in winter through the use of the latest polycrystalline silicon cells and the optimal alignment of the solar modules at a 20° angle facing south. When you visit the airport you can see a large counter, showing current production and best of all, that lovely number showing what is being sent back to the grid. 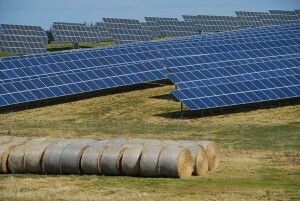 Germans are truly leading the way where it comes to alternative energy sources. Not only are very much invested into solar, but wind energy forms a big part of their strategy to break away from non-renewable sources such as coal and oil. Plus, with global warming no more just a theory to be endlessly debated but a fact which we can see now in the tremendous heat and drought conditions in the continental United States, it turns out that the forward thinking Germans, who started this conversion more than 20 years ago, have quite a bit to teach the rest of the world. America, are you listening? Posted in Germany Tours and tagged energy, germany, gigawatt, power, solar.